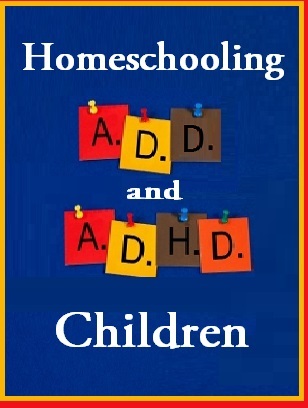 Families are homeschooling ADHD and ADD children in increasing numbers. This growing trend shines light on the benefits of the homeshool environment for children with attention deficient disorders. 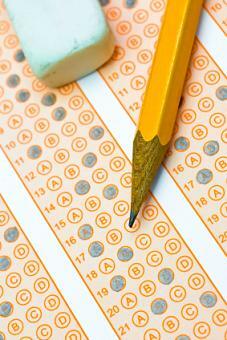 Many parents become frustrated trying to make public school work for their ADD/ADHD child. If you have gone through the motions of public school before and/or after your child was diagnosed, you probably know all about the complications. Teachers are not always patient and understanding, and keeping up with the pace of classroom learning can be more frustrating than educational for your child. This has brought many parents to the conclusion that homeschooling an ADD/ADHD child is much less hassle and far more beneficial to the child. Public school teachers are torn between grading/planning/organizing duties and up to twenty-five students at once. Home school teachers (that’s you!) are only torn between the administrative tasks and their own children. This benefits the ADD/ADHD child because they get more personal attention and immediate help with problems. Public school teachers do not get to know children on a personal level and often do not understand the struggles that a child with ADD/ADHD is going through. This makes it incredibly difficult for a public school teacher to respond appropriately and effectively to children with different needs. The home school environment is lead to by someone who knows the child intimately, so you can implement small changes that help the child learn. Public school teachers have predetermined assignments and curriculum that every child must learn without variation. Home school teachers can develop their own curriculum and assignments, based specifically on the needs and interests of the child. This makes learning more fun and rewarding for the child, and they actually remember more of what they learn for the long term. Public school teachers move through lessons at a pace suitable to the overall class. Home school teachers move through lessons at a pace suitable to the individual child. The ADD/ADHD child is often gifted in some subjects they find easy, while struggling with other subjects. They are typically behind and ahead at the same time in the public school setting. When homeschooling takes over, parents can adjust curriculum so the child learns at their own level for each subject. They are neither behind or ahead, and there is no stress to learn faster to catch up to other children. Public schools are starting to cut back on arts and sports. Homeschooling parents have the freedom to teach their children music, art, creative writing, and other arts, and they have many ways to keep children active in sports. These are some of the big advantages to homeschooling a child with ADD/ADHD, but there are some lingering questions that many parents have about removing their child from public school and starting the home school process. What if I am unable to teach my child everything they need to learn? Will I fail them out of school? If you check with your state to learn the legal requirements for homeschooling, and compare with lists of learning objectives by grade level, you will know exactly what your child is supposed to be learning. The beauty of homeschooling your child is that you can put them at different grade levels in different subjects, allowing them to move at their own pace. You can test them just like they would be tested in school, and you can talk to them to determine how much knowledge they are really picking up. If you are consistent with the curriculum and personalize the approach to your child, they will learn! In fact, they are more likely to learn with you than they would without that personal attention in public school. What if I do not have time to home school properly? Many homeschooling parents work full time and hold down other obligations while teaching multiple children at home. You will have very flexible hours as a home school teacher, and it will be much easier to blend those duties into your other obligations once you cut out the strict schedule of the public school. Use online learning programs, as they allow children to do a lot of work on their own. This is a great supplement for days you cannot actively participate. Which Keurig should I buy? If you’re getting distracted by the latest coffee trends, try an ADHD test yourself! Some curriculum options work better than others when homeschooling ADHD or ADD diagnosed children. Due to the distinctly different environment of your home vs. a busy and distracting classroom, most students do well with almost any top curriculum options. Computerized curriculum often is especially effective in holding their attention and engaging students who learn to love school again! It is ultimately up to the parent to decide whether an ADD/ADHD child will do better in the public school system or at home. Many children with these struggles do tend to do better when the curriculum and the environmental factors are structured to better meet their learning needs. Hi! We are beginning homeschool with our youngest son, who has ADHD, Dysgraphia and CAPD. The las 2 years of traditional school were a nightmare and so we are beginning middle school at home. I am looking for suggestions for curriculum and any info on beginning the homeschool journey in middle school. Thanks a million!! Please let us know if you have any more questions in the future. We are the grandparents of an 7 year old ADHD boy and we are looking for an opportunity to have him join a homer parenting group in the greater San Francisco area if possible.. . If not we are willing to look at home schooling opportunities further away. This is a wonderful, joyful boy who needs very special & particularized schooling. All suggestions welcome. You’ll have your best experience with a homeschool coop. There are two searches I’d do to find one: san francisco homeschool coop. This will give you a list of homeschool coops around you. You’ll want to visit them to see what seems like a good fit. To make a shortlist of the possibilities, I’d search for: san francisco homeschool coop adhd. I wish you the best of luck in finding a community that fits!